In the international trade and development arena, new and developing economies have created a block that is known as BRICS - Brazil, Russia, India, China and South Africa. Initially conceived to drive global change through economic growth, the financial crisis and reversal of fortunes of the BRICS nations have raised questions about their ability to have an impact on the governance of global affairs. This book explores the role of law in various areas of BRICS cooperation including: trade, investment, competition, intellectual property, energy, consumer protection, financial services, space exploration and legal education. 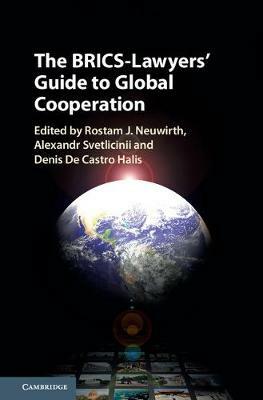 It not only covers the specifics of each of the BRICS nations in the selected areas, but also offers innovative and forward-looking perspectives on the BRICS cooperation and their contribution to the reform of the global governance networks. This is a unique reference book suitable for academics, government officials, legal practitioners, business executives, researchers and students.